The new additions to the fleet are worth $320 Million. VistaJet, the leading global business aviation company, is adding US $320 million worth of new aircraft to its fleet as part of its on going worldwide expansion strategy. This represents the largest number of wide-body business jets to be delivered by Bombardier to a single customer within a 30-day period. The eight new jets include three Bombardier Global aircraft valued at US $174 million, as well as three Challenger 605 jets valued at US $93 million, and 2 Challenger 350 jets valued at US $53 million. This is in addition to five Global aircraft added in the first half of the year. VistaJet plans to take delivery of a further 12 jets including three Global 6000*, four Challenger 350 and five Challenger 605 aircraft at a total value of US $447.5 million, by the end of the fourth quarter. VistaJet is also pleased to announce that it had its best summer season to date in 2014. The volume of flights is up 21% for the January to August period, and September is on track to be another record month. The Company’s ‘Think Global’ strategy is proceeding per plan. Africa continues to be the VistaJet’s fastest growth region. Expansion focus on the US and Asia-Pacific remains a priority with new aircraft being placed in these regions to support increasing demand as capacity is at an all time high. VistaJet’s business in Russia and CIS remains strong and the Company is positioned to reach its target revenue growth of 20-25% by year-end. 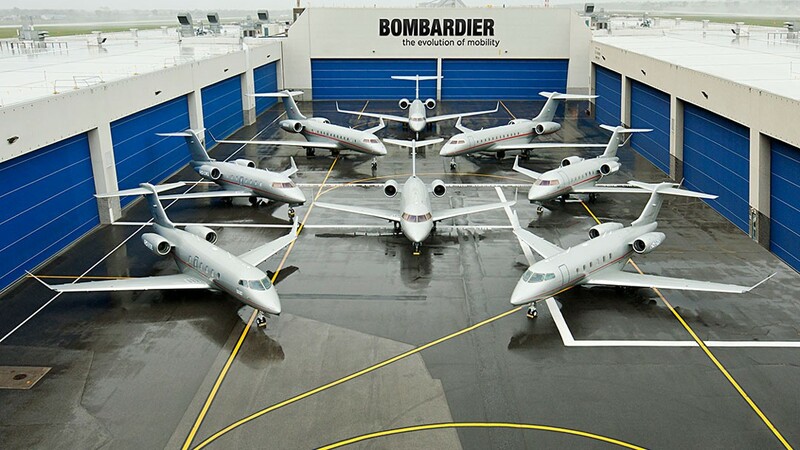 November 2012 VistaJet placed the largest single transaction in the history of business aviation, firm orders for 56 new Bombardier Global aircraft with further options for an additional 86. Total value of approximately US $7.2 billion. June 2013 VistaJet placed a firm order for 20 Challenger 350 aircraft with further options for an additional 20. Total value of approximately US $1.7 billion. January 2014 VistaJet commitment to lease 10 new Challenger 605 jets with International Aircraft Leasing and Trading (IALT) as part of its Challenger fleet renewal program. *Either registered or unregistered trademarks of Bombardier inc. or its subsidiaries. **All aircraft values calculated per 2014 Bombardier Business Aircraft list prices.